Google has had nine prominent SEO algorithm updates in recent years. This famous SEO update gave a huge edge to websites that are mobile friendly and show up clearly on smartphones. Certain sites are marked off as ‘Mobile Friendly’ by the algorithm, and only these websites appear as top search results when a query is searched using a smartphone. Google encourages sites to check whether they are mobile-friendly using a Mobile-Friendly Test tool. Websites that use this tool and become mobile friendly are once again allowed on the top search results on smartphones. Aimed at local SEO, the Google Pigeon update was an algorithm that used one’s location to determine how the search results were ranked. The importance of the user’s location and residence was suddenly hiked in order to make search results more relevant to people in different parts of the world. This dramatically affected the importance of interpreting location cues. The Hummingbird is an SEO update that helps make the search engine faster and more accurate to the search. Since people enter and search entire sentences instead of keywords on a daily basis, the Google Hummingbird takes into account the entire query, rather than the words individually. This results in a much more accurate analysis, and thus, search results become much more relevant to the actual query. Known as a revolution in the field of semantics, it had turned everything popular in the industry of SEO’s until then on its head. This Google SEO algorithm update deals with the removal and cleans up of search results that lead to unrelated spam websites, usually containing pornographic or otherwise inconvenient material, especially for certain queries that could lead to such websites naturally using the search algorithm. This update is a filter created to make sure that websites with terrible quality content do not show up on top search results simply because they have the right amount of keywords and words that match the search domain. Previously, this was allowed as there was a particular number of keywords that every website needed to hit to get to top results, but the EMD update makes sure that each top result is checked before it is allowed to be listed. 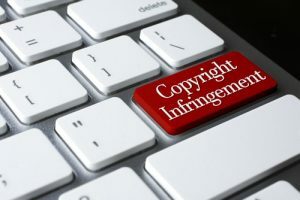 Google’s Pirate filter was mainly created to single out websites that have multiple copyright infringement reports against them on the American DMCA system. These sites are prevented from having good places on Google’s search result listings. The Pirate Update is regularly updated, therefore releasing false positives and catching escaped offending sites. The Penguin Update was a revolutionary update that targeted websites that have bought links or obtained them through third party link websites that are designed to boost their place in Google search rankings. Such sites which contain spam and unwanted content are removed from the top search rankings. As the Penguin, like the Panda, is regularly updated, it is also accustomed to releasing false positives caught in its net, and finding spam websites that escaped the Penguin previously. The Top Heavy update is an efficient algorithm that ensures that any website that contains too many advertisements for a user to be comfortable are removed from the top search results and marked off as spam. This algorithm is often updated, resulting in websites being able to remove a significant amount of ads to come back to the front page. New sites are also not safe, due to the constant updates and efficient monitoring of search results. This update, one of Google’s first major SEO algorithm updates, targeted low-quality content. 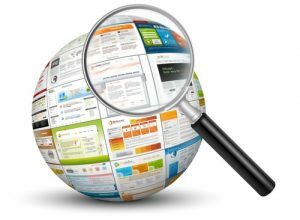 Sites with poor content, too many ads or no relevance to the searched terms are stopped from reaching the top search results, and may not even be allowed as search results. The Panda is regularly updated and improved by Google, allowing its targets to be more and more efficiently picked out. 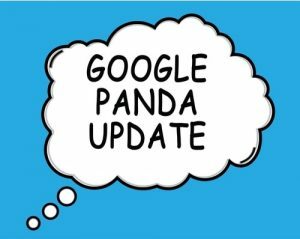 Regular updates mean that websites unfairly picked out by the Panda may be released and allowed back on the top search results, as will sites that have previously been marked spam but have made significant changes to their content. Sites that have previously escaped the Panda’s notice may also be trapped by the updates. Thus, these are 9 SEO updates by Google from the years 2011 to 2015 that every business must keep in mind to maintain their websites’ popularity.